The day has finally come. Ring the bells, dance in the streets and drink til dawn to celebrate the arrival of some new diabetes tech. 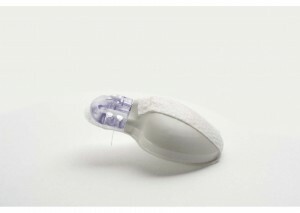 Medtronic’s new and improved CGM sensor – Enlite – has ticked all the legislative boxes and is being launched today in the UK. 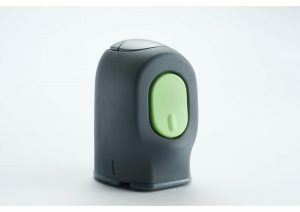 According to the marketing propaganda “The Enlite Sensor combines greater comfort with improved glucose sensor performance in both overall accuracy and hypo detection”. Plus the sensor is thinner, shorter, approved for use for 6 days and comes with a new and improved insertion device, which looks less like a harpoon gun than the old one. And the really big news – it no longer has the 3ft long insertion needle that scared all but the most hardened needle poker. Rather than struggling to get the correct angle of insertion which could be a bit of an issue with the old sensors, the new ones are inserted vertically, like a Quickset, so that should be one less thing to worry about. Also, the insertion needle, as well as being shorter and thinner has been polished, so it’s smoother too. Of course, when it comes down to it, you’re still shoving a bit of metal into your tender flesh so it’s never going to be a pleasure, but the stats say that 85% of testers found the insertion to be pain free. Even with a huge pinch of salt, it certainly seems to be a great improvement. 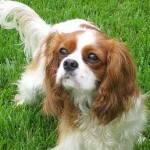 This dog knows that money is always a big issue when it comes to CGM. The new sensors are of course more expensive than the old ones (come on, did you seriously expect anything different?) but are cleverly priced to still be cheaper than the equivalent CGM sensors from Dexcom and Abbott. Wow, it’s like there’s a marketing strategy behind this stuff! When Tim and Alison had a play with the new sensor recently, it certainly looked simpler and more comfortable to insert. And the improved accuracy claims are impressive. The proof of the pudding is of course in the metaphorical eating – do said sensors accurately detect the post pudding spike? This dog is writing this piece because he knows that Alison is busy on the phone to the Medtronic order desk this morning to get her grubby hands on some of the new sensors and rumour has it that Tim might also be giving them a try soon…so watch this space. So – how quickly does it give a reading? Anyone know? I do find getting the sensor needle out almost impossible! New sensors now ordered – if you are one of the rare breed that has NHS funding for sensors, you’ll need your diabetes nurse to send an email to rs.watforddiabetescsd@medtronic.com confirming they’re happy for you to order the new sensors before they’ll process the order. @lizz I’ve no idea, watch this space for a review once I receive mine and get them up and running. Oooh interesting… Lots of questions to ask at my (currently indefinitely postponed/delayed) ahem ‘annual’ review. @Stephen I haven’t seen any prices in writing, but I was told £52.50 per sensor (sharp intake of breath! ), compared to £62 ish for the Dexcom and £65 for Abbott. They do use the same transmitter so no need for a new one. There was mention of an introductory offer if you buy a box of 10 within the next few weeks which would work out at around £48 per sensor, but you’d need to speak to Medtronic to get the full detail. I am hooked now. It’s really handy being able to look at the pump and check the reading for a clue, I find the arrows (one arrow up or down for a slowish rise or fall, two for a quick rise or fall) extremely helpful. Also, when Lola alerts, often I don’t have to get the blood test kit out and check, i can look at the pump and reward her straight away, which is good, especially when I’m out for a walk, or shopping. I get clumsy and often nearly drop the testing stuff when standing in a shopping precinct! I guess it goes back to the same old argument – the treatment to fix the complications ain’t cheap either. I’m lucky in that I don’t have to fund mine, but if I had to, I’d find the money somehow, to me they’re worth it. I would like to know if they’re making any money out of CGM yet. The cost of development and research studies to prove efficacy must be huge and out of the total diabetes population the uptake is still pretty low. I’d love to know what their break even point is. @neobrainless Oh the pressure, I hate writing reviews! I don’t think the 20min delay is much of an issue – like you say, the trends are the really valuable info that help give context to the readings. Also, I think after 4 years I’ve just got used to the sensor readings being a bit behind the meter readings and adjust for it without realising. I’m afraid I’m going against the grain here… Am I excited about this? No. Granted this may have to do with the fact that after approaching five years of Medtronic CGM (starting from the original Guardian) I turned my back and moved to Dexcom five months ago. But it’s actually much more than that. For Medtronic, new sensors mean absolutely nothing without a new transmitter. 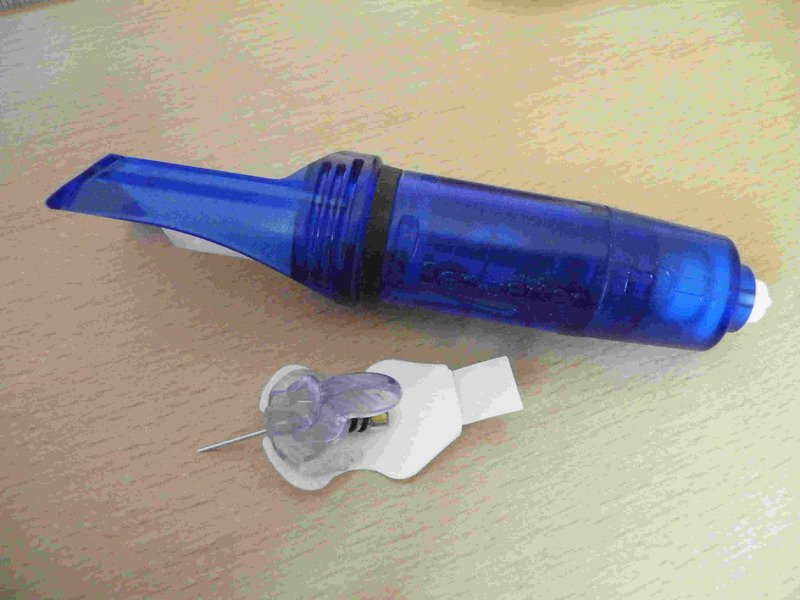 The Minilink is at the heart of so many of the problems with Medtronic CGM. I note the addition of the little strip of tape to help hold it down, and the increased footprint of the tape under the Minilink, but both of these changes are too little and much, much too late. The sensor is still entering the skin at close to the edge of the adhesive. This means it will still be subject to pull, and still exposed enough, especially as the adhesive begins to lift after a couple of days, to lead to significant skin irritation – both major recurring problems with the current sensor set up. Anyhow, I strongly dislike the fact that technology companies try to initiate price wars on technology that is not a “choice” good. But especially because we’re not comparing like with like. I used to regularly get two weeks out of Medtronic sensors, but not for well over a year now, and it was always a painful battle with tape and sore skin. Dexcom on the other hand, as I’ve already said, last much longer. So the “single day” running costs are much lower. But even leaving that aside, different devices work better for some than others, and the misconception that one may cost less than other may lead people to make an inappropriate choice for themselves. It’s likely that in reality all CGM system, over the long term, will end up costing similar amounts and I don’t support cost being a factor in choice. I’ll accept that I’m biased, because for me (again YMMV) Dexcom is a much, much better system. More accurate, instant calibration integration so that the only lag is physiological lag, much less skin irritation…. I could go on. I’m happy that the sensor seems smaller – although I’ve yet to see the size of the new introducer to see exactly how much smaller that is. But I don’t think Medtronic have done enough. And it has taken them much, much too long. @caro – Hello and welcome to Shoot Up! Thanks for your input – I agree with your points and as you say there are certainly pros and cons to every system – hence discussions like these flourishing. And the more they flourish the better feedback companies will get on what us unwashed masses actually want out of our diabetic kit. @Caro Thanks for your comments, it’s great to get another view. I guess what makes CGM so complex is the different ways it works in different people. I think we’re all biased by what works for us personally. I’ve made no secret of the fact that Medtronic has worked well for me for 4 years, but the market only progresses if you have viable competition and that’s why it’s so good to have Dexcom. I’ve never had an issue with the Minilink transmitter, but I have always ignored Medtronic’s marketing spiel and taped it down, so there’s been no issue with sensor pull or exposure. I’ll continue to do that even with the new sensors as I don’t believe the adhesive strip is enough to stop me catching the sensor on stuff. I’ve been wearing my sensors for 2 weeks over the last few months to avoid having to get a new box before the new ones came out and they’ve still been working when I’ve pulled them. I don’t like leaving them longer than 2 weeks though, I’m not happy with something in my skin for so long. On the cost front, I’d like to see two things. Firstly, properly published costs online so you can get a clear understanding of the full costs of all the devices – rather than rumour and speculation via what people have been told. Secondly, there is huge potential for a cartel approach to price fixing – I don’t know what good value looks like when it comes to CGM. What is a reasonable price for such a system given the R&D costs? And when will the NHS get their act together and use their size to negotiate a decent price so we buy this stuff at wholesale rather than consumer prices? Perhaps I’m easily excited, but I find all progress in this industry exciting, because it moves us forward. Like I’ll be excited when they finally manage to launch a pump with integrated Dexcom CGM, because that’ll mean there is genuine choice in the integrated device market. Whichever company brings out the new product, it’s another step towards refining the technology. My DSN told me to put some tape over it, supplied it in fact, and it’s been fine. Oh, forgot to say, if I do get this it will be funded as a special case. If you get funding are you automatically able to get the upgraded sensors? This is for @stephen : Sensor costs as follows. Just to compare the current sof sensors are £385 per box of 10 I believe so a huge difference. @mikeinspain – ah, who needs food anyway? I’ll leave my huddled, mewling, ragged children* to starve while I rejoice in my new CGM! * I don’t actually have any children. But that’s not the point. @lizz The sensor will automatically stop working after 6 days. You need to remove the transmitter, recharge it for about 20mins, then reconnect and do “Start new sensor”. Repeat every 6 days. Funding – I had to get my diabetic nurse to send an email to Medtronic confirming I’m allowed the new sensors. She copied in the PCT so they are aware. No kick back as yet, although I’m kind of waiting for something! Does that work if it has a calibration error, twice in a row? I’m on my last sensor and it has just said I have to put on a new one!! @Lizz I’d try the generic electronic fix all of turning the sensor off on the pump then doing start new sensor and see if that brings it back to life. Ooh er! I did the taking it of and putting it on the charger for 20 mins thing, and if that doesn’t work will try the generic electronic gadget fix! thanks so much for all this wonderful help! Cheers @mikeinspain – I can’t justify the regular ones at the moment let alone find any extra for the new ones. @Tim I think you have to try the ‘old’ ones first so you can do a proper review and comparison, he he!! !